The Conservancy is busy on several fronts—living up to our commitment to be vigilant about wildfire safety while encouraging a healthy native environment in Claremont Canyon. Unfortunately, wildfire danger continues to be a major issue as fire season is becoming a year round concern. Public agencies are unable to devote the financial and human resources necessary to address it. Jerry Kent’s recent blog brings us up to date on the situation with FEMA and the grants to mitigate wildfire danger in the East Bay Hills. Grant applications were submitted in 2005 and 10 years later, after exhaustive environmental review, funds were granted to three land owners in the East Bay Hills. But, after a round of litigation, FEMA withdrew its grants to UC Berkeley and Oakland. Litigation to restore the UC grants continues today. Other agencies talk of moving forward but are reluctant to take on the 900-pound gorilla of removing eucalyptus and Monterey pine trees, which are the major threat to the safety of our community. In Claremont Canyon, we have many neighbors who have moved in since the 1991 firestorm and may not be familiar with what they need to do to make their own homes more fire safe. Information about what homeowners can do is in the wildfire section on our website, www.claremontcanyon.org. The Homeowner’s Guide to Wildfire Prevention by our own member Dr. Robert Sieben is also available. I have some good news to report. More than 20 students joined us last month at a workshop and stewardship activity treating poison hemlock at the upper end of the Summit House Trail just below Four Corners (see page 3). The students also helped reinforce the Gwin Canyon Trail, removing a good bit of French broom along the way. Now is a great time to attack broom—its bright yellow flowers are in full bloom, making it easy to spot, and the soil is wet, making the plant easy to pull up by its root. Many people find broom pulling to be quite fun. If you want to help out, get on our email list to be alerted about our monthly activities. 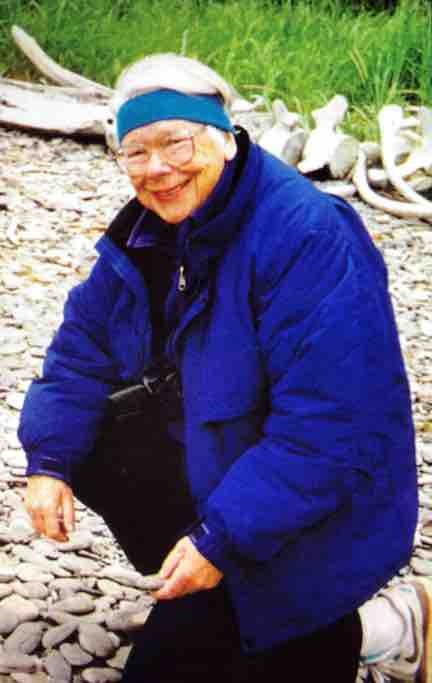 Finally, I want to pause and note with sadness the passing of Afton Crooks, one of the two founders of our predecessor organization, Friends of Claremont Canyon. Afton and our vice president Joe Engbeck stepped up immediately to offer their knowledge and expertise when the Conservancy was formed in the aftermath of the 1991 fire. I owe much to Afton. She was a consummate professional with solid financial and organizational skills who served five UC Presidents over 40+ years. She brought the same skills, and enthusiasm, to her work with the Conservancy. It was a distinct pleasure to know Afton Crooks.